Hi everyone! I hope you’re having a great weekend! Yesterday I set out hunting for a new Beanie Boo for my collection, but instead, I just had to bring this little guy home! This is Jaden the Siamese Cat. 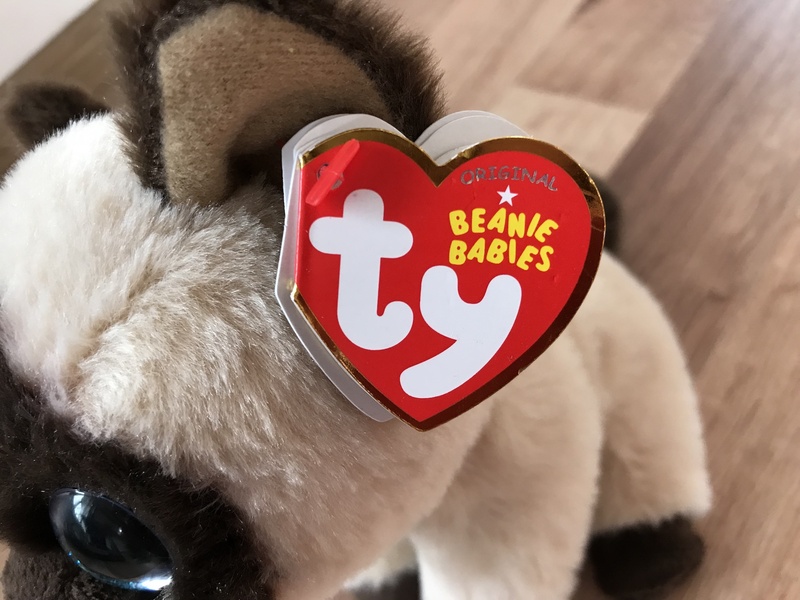 Although he looks like a Beanie Boo, he is actually part of the Beanie Babies range! Jaden has incredibly soft, plush fur that is light beige in colour, except for his face, paws, ears and tail, which are more of a chocolate brown. 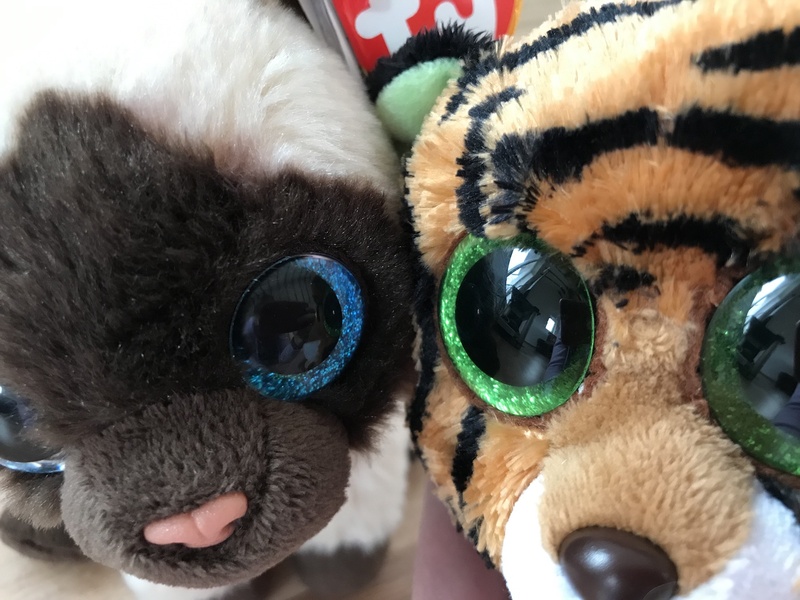 It is so easy to confuse Jaden with a Beanie Boo as his eyes look very similar to the large eyes normally seen on them, although there are some differences. His eyes are ever so slightly smaller than a Beanie Boo’s. Here is a picture of Jaden next to one of my Beanie Boos, Stripes the Tiger to demonstrate. Stripes’ eyes are about a 1/4 of an inch bigger than Jaden’s, although they are still glittery. 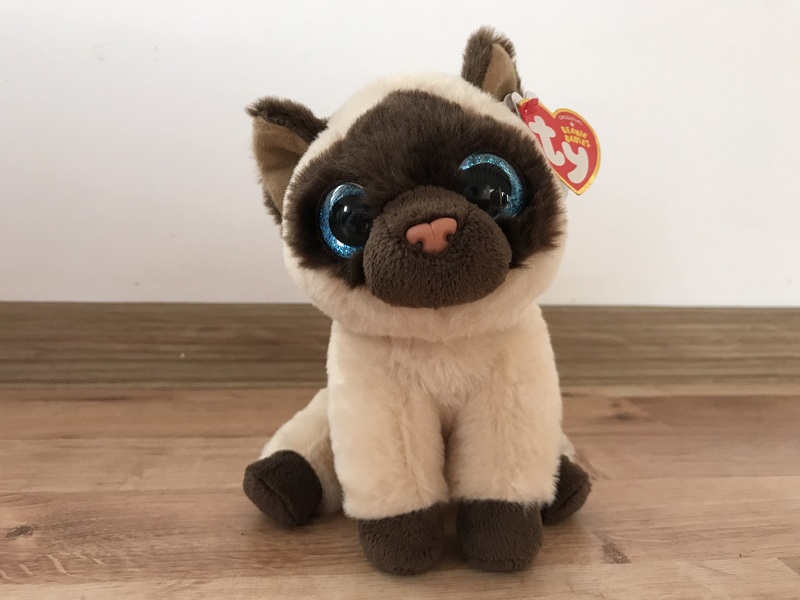 The bright blue eyes were what drew me to get Jaden instead of another Beanie Boo as they stand out from the dark brown of his face. I also love his little peach coloured nose. 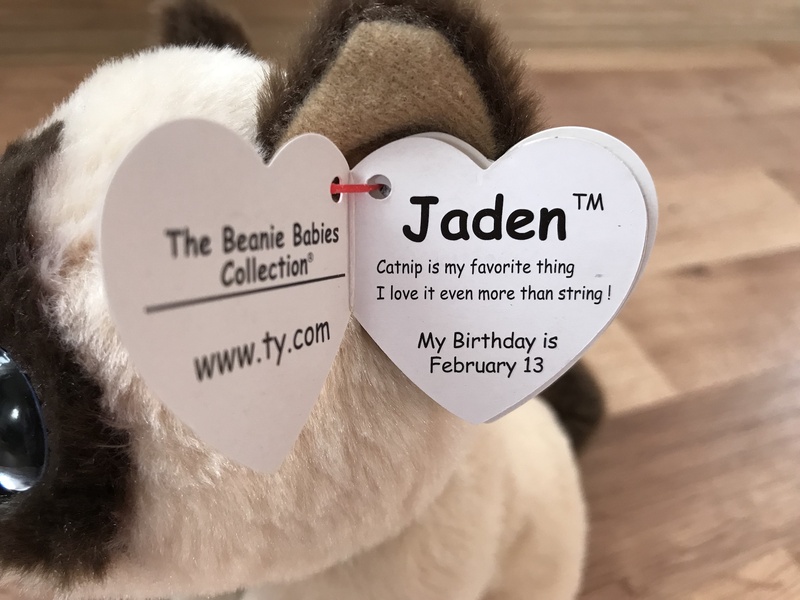 Jaden has a 19th generation Beanie Baby swing tag with the word, “Original” in holographic foil, although I have also seen him with a 20th generation swing tag. I love it even more than string! His Birthday is on 13th February. 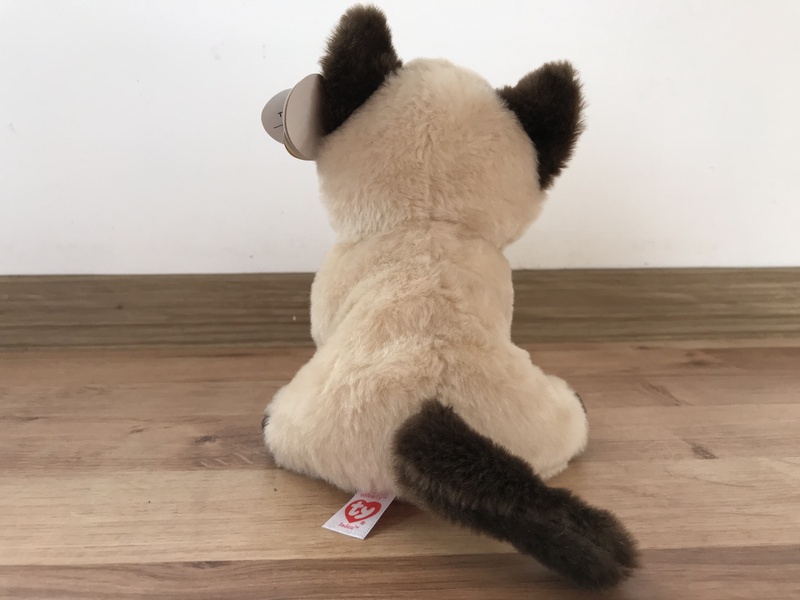 I’m so happy to have this Beanie Baby in my collection, as those who know me will know I’m a huge lover of cats, and this little Beanie was just too cute to resist! Do you have Jaden in your collection?